Iodine is an essential trace mineral needed for the body’s production of thyroid hormones, which regulate metabolism – the chemical reactions that occur in every cell in the body and provide energy for life. So how could someone be allergic to a vital nutrient? 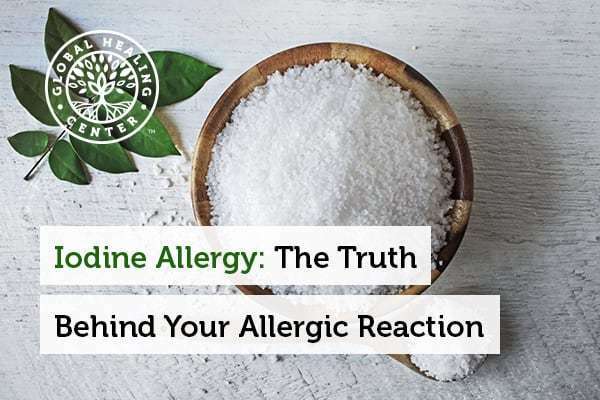 In fact, iodine is not the actual cause of allergic reactions. Research has shown that the adverse reactions occurring in association with iodine-rich foods like seafood or shellfish, iodine antiseptics or radiocontrast dyes, are actually the body’s response to other chemicals or allergens found in conjunction with iodine but not to iodine itself. 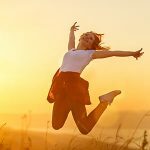 The revelation that iodine is, in fact, not an allergen is good news for anyone who believes they have an iodine allergy yet needs an iodine supplement to support a healthier lifestyle. Iodine is not the cause of allergic reactions in iodine-rich foods. These adverse responses are associated with other chemicals found in foods or products like seafood, shellfish, iodine antiseptics, or radiocontrast dyes. What Does Iodine Do in the Body? Iodine is an essential nutrient that regulates metabolism, sustains energy levels, and supports hormone synthesis. This mineral is particularly important in the thyroid, a bowtie-shaped gland just above the larynx or Adam’s apple where it supports the creation of the thyroid hormones Thyroxine (T3) and Triiodothyronine (T4). These thyroid hormones regulate metabolism and influence the body’s sensitivity to adrenaline, norepinephrine, and other catecholamine hormones. Some research even suggests that iodine supports brain health and IQ levels. [2, 3] Although iodine is a vital nutrient that everyone needs, it’s even more critical for women who are pregnant or lactating as it helps regulate reproductive hormones and supports bone and nervous system development in children. How Much Iodine Do I Need? The National Institutes of Health recommends adults get 150 mcg (micrograms) per day, while pregnant women should get 220 mcg per day and lactating women 290 mcg per day. The NIH also recommends an upper limit on iodine of 1,110 mcg while some practitioners recommend mega-servings. Many experts believe that the recommended daily allowance of 150 mcg is too low. Larger doses of iodine can increase the amount of toxic metals the body excretes, and Japanese citizens, who have the world’s highest iodine intake, have better breast and prostate health. In Japan, people consume between 1,200 – 5,280 mg daily. The way your body processes iodine depends on your age, gender, and weight, among other things. 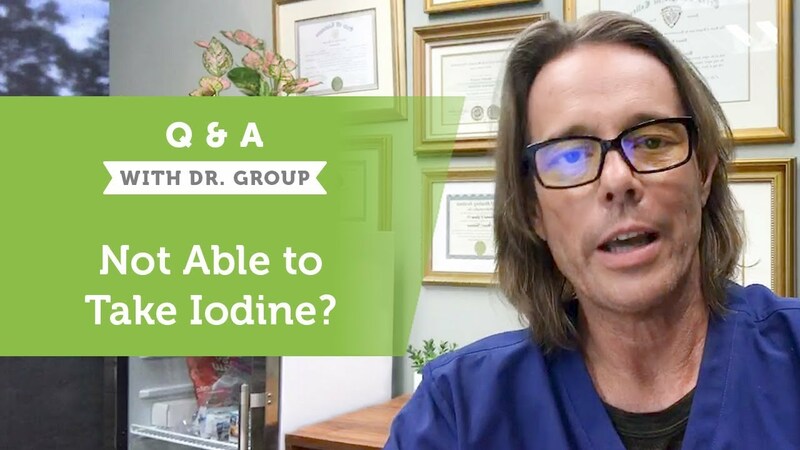 You can ask your health practitioner for an iodine loading test, which will reveal whether your body is saturated with iodine or deficient. On a global scale, the World Health Organization (WHO) estimates one-third of the world’s population remains at risk for iodine deficiency. Many people struggle to get enough iodine in their diet. The “Standard American Diet” (SAD), which generally contains a lot of processed foods and vegetables grown in nutrient-depleted soils, doesn’t always provide the full spectrum of nutrients a person needs. On a global scale, the World Health Organization (WHO) estimates that as of 2004, 2 billion people, one-third of the world’s population, remain at risk for iodine deficiency. The consequences of not getting enough iodine range from mild to severe. On one end of the spectrum, too little iodine may produce symptoms such as brain fog, memory loss, and low energy levels. Serious deficiencies can lead to conditions like hypothyroidism or goiter. An allergy occurs when your body responds to some external allergen that causes an immune response. An encounter with an element like dust, pollen, or shellfish sets off a reaction, and the immune system produces antibodies to attack the allergen (which is an antigen). This tells the body to produce histamines which make blood vessels expand and cause other common allergy symptoms. Why Do People Associate Iodine with Allergies? If iodine is an important nutrient, how can someone be allergic to it? The short answer is that they can’t. While there’s no question that some people have an adverse reaction to shellfish, radiocontrast dyes, and topical antiseptics containing iodine, there is a question as to what prompts that reaction. The high iodine content of seafood and shellfish, such as lobster and shrimp, led some people to believe that this nutrient causes the allergic reaction that occurred when certain people consumed it. The symptoms of shellfish allergy can range from mild to severe, with some severe allergic responses causing anaphylactic shock, an extreme and potentially fatal condition. The truth is that shellfish allergies are caused by four proteins found in the food and NOT the iodine. This myth that iodine is to blame persists, despite evidence to the contrary. One 2005 study of 60 patients with a confirmed shellfish allergy found that 92% believed iodine was responsible for their allergic reaction rather than something else in the shellfish. Most of those respondents received their information on the internet or in a magazine. To improve the quality of images produced from x-rays and computed tomography (CT) scans, doctors may use an iodine-based radiocontrast dye. 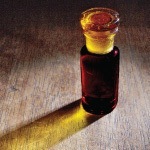 Contrast dyes help to reveal irregularities in an image that might otherwise be missed. [10, 11] Around 1-12% of people react to contrast dyes, with only 0.01 to 0.2% experiencing severe reactions. The risks are higher with the older, ionic iodine-based radiographic dyes and reactions have been reduced to 0.5% of patients for newer, non-ionic dyes. Itchy skin accounts for 70% of the reactions to the radiocontrast dye. As a result of the reactions, it was initially assumed that the iodine in this solution was responsible. However, several studies have found that antibodies do not form after exposure to iodine-dye combinations; thus any reactions that occur are not allergies, per se, but an activation of the nonspecific immune system — which means a response by the immune system to a substance that protects the body against any foreign object. A true allergy can only occur the second time one encounters a substance because the immune system must have formed antibodies to protect against it. One study showed that zero of 23 patients with previous sensitivity to contrast dye reacted to sodium iodide injected under the skin. [1, 12] Hence, the reaction to radiocontrast dyes is considered a pseudoallergy or allergy-like reaction rather than a true allergy. Those who suffer from asthma and cardiomyopathy have a greater chance of experiencing a reaction to iodine-based contrast dyes. The severity of the response has been linked to age, gender (females are more likely to be affected), and the use of ACE inhibitors and beta blockers. Since the human body does not produce iodine, an iodine-rich diet or supplements are needed to sustain healthy levels of this trace element. Iodine is present in the soil, so vegetables grown in regions that are iodine-rich will naturally have more iodine, though most people are not familiar with whether their produce is grown in iodine-rich soil. Foods naturally high in iodine include dairy products such as milk, yogurt and cheese, eggs, seaweed and kelp products, lima beans, and fruits particularly plums, cranberries, and strawberries. One of the best sources of iodine is fish – particularly tuna and cod – and shellfish. Some fish, however, can contain high levels of mercury which can be toxic to your body. Additionally, if you have experienced reactions from shellfish, it’s probably best avoided. Some people think that salt has a high amount of iodine, yet this is not necessarily true. There are two main types of salt used for cooking and consumption: table salt and non-iodized natural salts, including sea salt or Himalayan crystal salt. Commonly sold “iodized” table salt has been supplemented with iodine since 1924 to reduce the occurrence of iodine deficiency. Non-iodized salt is the healthier option as it is natural and minimally processed. This status enables sea and rock salt to retain other minerals like magnesium, calcium, and potassium. One might think that non-iodized salt would have less iodine than iodized table salt, and some sea and rock salt does contain less, but some varieties of Himalayan crystal salt, which we recommend, contain four times as much iodine as table salt. Sea salt typically has a small amount of iodine, while table salt has a higher iodine content as this element is added during processing. If you live in a landlocked area, your food is grown in low-iodine soil, or you’re switching away from iodized table salt as a source of iodine, you may benefit from an iodine supplement. If you think your body may need more iodine, talk with your healthcare provider about the benefits of supplemental iodine. 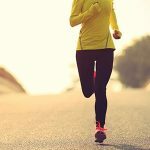 Not all iodine supplements are created equal and a pure nano-colloidal nascent iodine supplement is likely to be the easiest for your body to use. Can I Have an Allergic Reaction to Iodine Supplements? As explained above, iodine itself does not cause an allergic reaction, but some supplements may include other chemicals, which theoretically could cause an allergic response. If you suffer from any allergy, your risk of additional allergies might be higher. In this case, look for an iodine supplement that’s free of additives. Detoxadine® is a premium-quality, deep-earth sourced nascent iodine supplement that helps support thyroid health, the immune system, and more. Made from iodine, vegetable glycerin, and water, it’s one of the safest and easiest ways to ensure healthy iodine intake. Have you ever had an experience that made you think you might be allergic to iodine? What happened? Leave a comment below and share your story with us. "Iodine allergy and contrast administration." UCSF Department of Radiology & Biomedical Imaging. University of California. ucsf.edu. Accessed 18 Jan 2018. Raffensberger L. "How Adding Iodine to Salt Boosted Americans’ IQ." Discover Mag. Jul 2013. Accessed 15 Feb. 2018. Feyrer J, et al. "The Cognitive Effects of Micronutrient Deficiency: Evidence from Salt Iodization in the United States." National Bureau of Economic Research Working Paper No. 19233. Jul 2013. Accessed 15 Feb. 2018. Aceves C, et al. "The Extrathyronine Actions of Iodine as Antioxidant, Apoptotic, and Differentiation Factor in Various Tissues." Thyroid. 2013; 23(8), 938–946. Accessed 23 Feb. 2018. Andersson M, et al. "Iodine deficiency in Europe: A continuing public health problem." World Health Organization. 2007. Accessed 15 Feb. 2018. Salisbury S. "Cretinism: The past, present and future of diagnosis and cure." Paediatr Child Health. 2003; 8(2), 105-106. Accessed 15 Feb. 2018. Woo C, et al. "Not all shellfish ‘allergy’ is allergy!" Clin Transl Allergy. 2011;1(1), 3. Accessed 18 Jan. 2018. Schabelman E,et al. 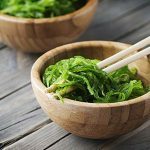 "The relationship of radiocontrast, iodine, and seafood allergies: a medical myth exposed." J Emerg Med. 2010;39(5), 701-7. Accessed 18 Jan. 2018. Huang, S. "Seafood and Iodine: An Analysis of a Medical Myth." Allergy Asthma Proc. 2005;26(6):468-469. Accessed 15 Feb. 2018. Scherer K,et al. "The role of iodine in hypersensitivity reactions to radio contrast media." Clin Exp Allergy. 2010;40(3), 468-75. Accessed 18 Jan. 2018. Moussa L, et al. "Immediate hypersensitivity reactions to iodinated contrast agents used in radiology: a review." J Med Liban. 2012 Jul-Sep;60(3):159-63. Accessed 18 Jan. 2018. Bottinor W, et al. "Adverse Reactions to Iodinated Contrast Media." Int J Angiol. 2013; 22(3), 149–154. Accessed 16 Feb. 2018. Kunze J,et al. "Relevance of an iodine allergy to commercial polyvidone-iodine preparations." Z Hautkr. 1983;58(4), 255-61. Accessed 18 Jan. 2018. Van Ketel W, et al. "Sensitization to povidone-iodine." Dermatol din 1990;8, 107-109. Accessed 18 Jan. 2018.